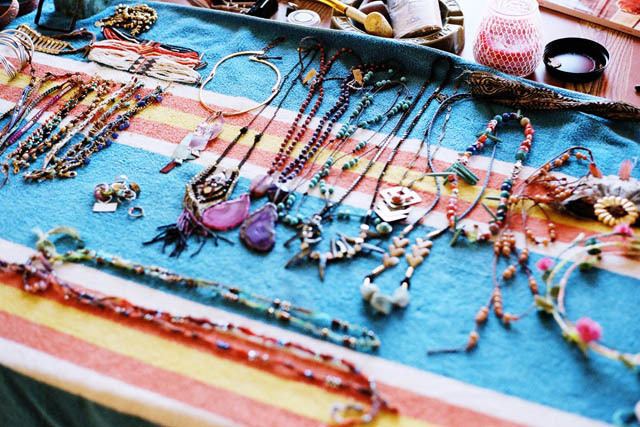 Behinds the scenes on Free People’s April lookbook. 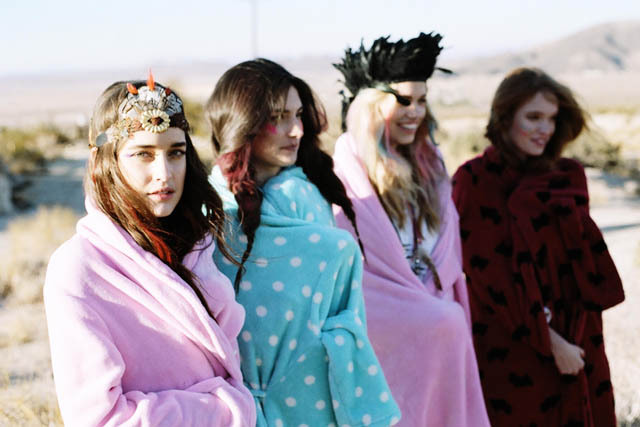 Love the ‘one night only’ colour tips in their hair, the almost showgirl like feathered adornments and lolly coloured polca-dot dressing gowns!! 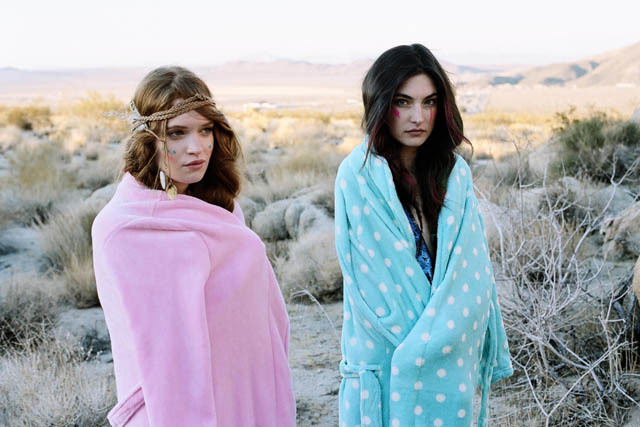 Free People’s April lookbook is look’n to be every bit as enchanting as we’ve come to expect! Can’t Wait!! This reminds of beautiful summer nights that you spend with your best friends doing silly things. I love the look of the jewellery!